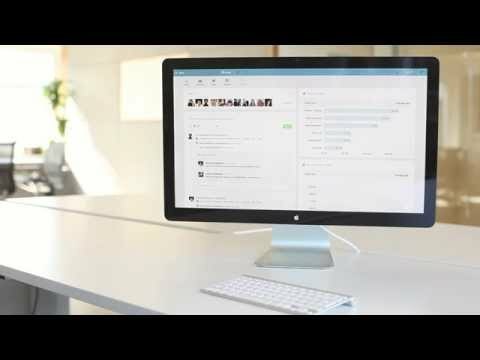 Communicate, organize and get work done in one place with Citrix Podio. Give your team a tool they’ll love to use. It’s entirely customizable to fit how you run projects most efficiently. Podio makes deadlines, responsibilities and goals clear for everyone. With transparent, organized projects, you’ll never need to slow your team down to get a status update. At Citrix, they focus on a single driving principle: making the world’s apps and data secure and easy to access. Anywhere. At any time. We believe that technology should be a great liberator. Freeing organizations to push the limits of productivity and innovation. Empowering people to work anywhere and at anytime. Whether you’re completing a design project, or closing a sales lead – getting everything related to the job on one page, instantly makes collaboration easier. Attach files, view the status and add comments – everything’s updated in real time. There’s no cracks for pieces of your projects to fall through here. From simple tables to dynamic card boards, choose the view that best visualizes your work – and create reports that keep you up to date on your progress. Podio works seamlessly with many of the most popular file-sharing services, customer support products and marketing tools – to be the platform that ties all your team’s work together. Here are just a few of the products that integrate with Podio. We believe that transparency is not only helpful for organizing your work, it also makes work more engaging and enjoyable. Podio is designed to increase sharing and peer-recognition to foster great team cultures. We do support a little differently. Everyone at Podio answers support questions – from our dedicated customer care team to our lead developer. We enjoy it and take pride in it. You get fast, quality answers to your questions – and we gain valuable insights to guide future improvements. Q. Can I have a private workspace? Q. What are automated workflows? Q. What is the light user role? Podio allows you to collaborate with external users like clients, partners, and freelancers. The light role limits what these users can do. Light users can't edit, add, or delete apps, nor can they invite people to your workspaces. Q. What is user management?